Abilities Pathway focuses on providing professional certified support in two of the areas of education in which many students require academic support and guidance. Abilities Pathway also focuses on working with students (especially those with special learning needs), their parents, families, educators, schools, associations and others to effectively work as a team to smooth the bumps on the pathway to success. We enable students and their team to deal with and overcome barriers which hinder them from fully utilizing all their abilities. Barriers such as: ADHD, Learning Disabilities, High Functioning Autism, etc. Some may see these as disabilities, however at Abilities Pathway we know this is not the case. Abilities Pathways sees the potential in individuals who face these barriers and works to expose the potential in each student. We help student unmask their abilities and rebuild their self-confidence. Abilities Pathway offers professional certified academic support and tutoring, counseling, guidance, articles, videos, workshops, presentations and public speaking to enable students, parents, families, educators, schools, associations, and service providers to deal with the challenges associated with special learning needs. Our goal is for every student to maximize their abilities and ultimately achieve success. Don is the founder of Abilities Pathway. He is an Ontario Certified Teacher and specialist in Special Education. He has dedicated his life to helping people with various disabilities, overcome and deal with, the barriers that prevent them from using all their abilities. Barriers such as: ADHD, Learning Disabilities and other cognitive barriers. He also actively advocates and supports individuals with disabilities in the areas of accessibility, inclusion and employment. Don is an experienced teacher. He has worked with many at risk students ranging in age from 6 to 20, during his tenure with the Durham District School Board. He worked with them in a variety of areas including: literacy, numeracy, science, and computer science. 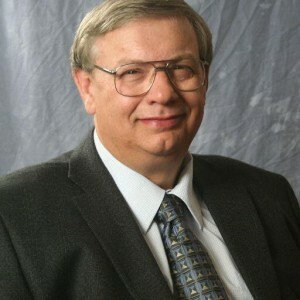 He is an acknowledged expert in the area of Assistive Technology. Don has designed and run various workshops at DDSB and was a presenter at the Ontario Association for Students at Risk (OASAR) conference. 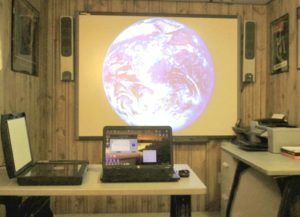 He has also conducted presentations on Assistive Technology for the Learning Disabilities Association (LDA) of Durham, the Ajax Accessibility Committee and for medical professionals at The Hospital for Sick Children. Don has presented workshops at the AT4ALL Conference sponsored by the Provincial Schools Branch of the Ontario Ministry of Education and ASET. He was the keynote speaker at the APSGO Conference (Association of Parent Support Groups in Ontario) and the YEAH Foundation Gala. Don has received a number of awards due to his involvement in helping those with learning disabilities. 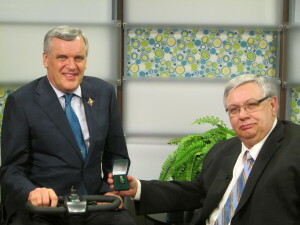 Some of the awards and recognition, include, but are not limited to, the OSEB Impact Award, the AODA 10th Anniversary Champion Award, the DREN Media Award (for his TV show Forum on Abilities), Special Education Innovation Award, as well as receiving the Lieutenant Governor of Ontario Community Volunteer Award from His Honour David C. Onley. He is a published author in the area of Special Education on a range of topics including: “Parents as Advocates”, “Leveling the Playing Field with Assistive Technology”, “Engage, Motivate and Accommodate Students with Special Needs”, “Embracing ADHD”, “Celebrating Success”, “Put Out the Fire: The Behaviour Will Settle Down”, etc. He hosted his own TV Show on Rogers, Forum On Abilities, for four years (140 episodes) which focused on helping people with all types of disabilities overcome the various barriers they face. He has also appeared on Daytime and The Reilly Perspective on Rogers Television, the Novak Report and First Take Live on CHEX television and Know It All where he discussed in detail working with children with special learning needs and dealing with school boards. Don has formerly sat on the Board of Directors of: OASAR, Learning Disabilities Association of Durham and the Multiple Sclerosis Association of Durham. Through Abilities Pathway he provides counseling, advice and guidance, workshops, presentations, articles, videos and public speaking to help all students (including those with special learning needs), their parents, educators and others who associate with them work together effectively to smooth the many bumps encountered by everyone along the pathway to success. Copyright © 2019 Abilities Pathway. All rights reserved.